I have come to realize that homemade stuff makes my heart happy. I guess I know this about myself, but the more I live my life, the more I know it to be true. I think it is partly my southern upbringing, but some of it is probably my creative side. 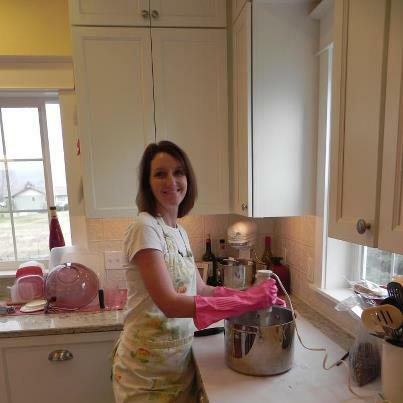 My friend, Jennifer, treated me to a lesson in soap making this weekend. I loved it. It is fascinating to me how lye, a caustic chemical, can be mixed with oil to make soap. You are supposed to wear gloves and not touch the lye while making the soap, but later you are supposed to put the soap on your skin? Got me, but apparently it works. We make lavender soap with real lavender in it. I wish you had a scratch and sniff computer, because it smells wonderful. I just look at it, and it make my heart happy. My mother-in-law taught me how to can this summer at her home. It wasn’t as hard as I thought it would be. Talk about female bonding time! We made raspberry jelly from raspberries from her garden. 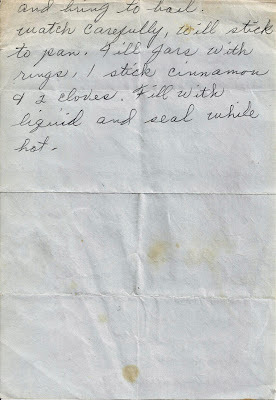 Since then, I have made mint jelly, raspberry syrup, cinnamon syrup, and cucumber cinnamon rings. Jellies and Syrups and Rings-Oh My! 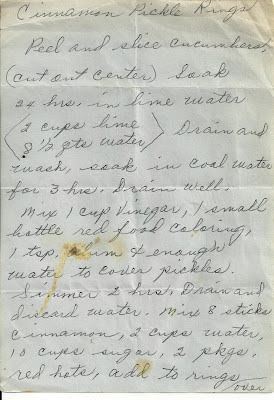 I came across an old recipe written in my grandmother’s handwriting for Cucumber Cinnamon Rings. 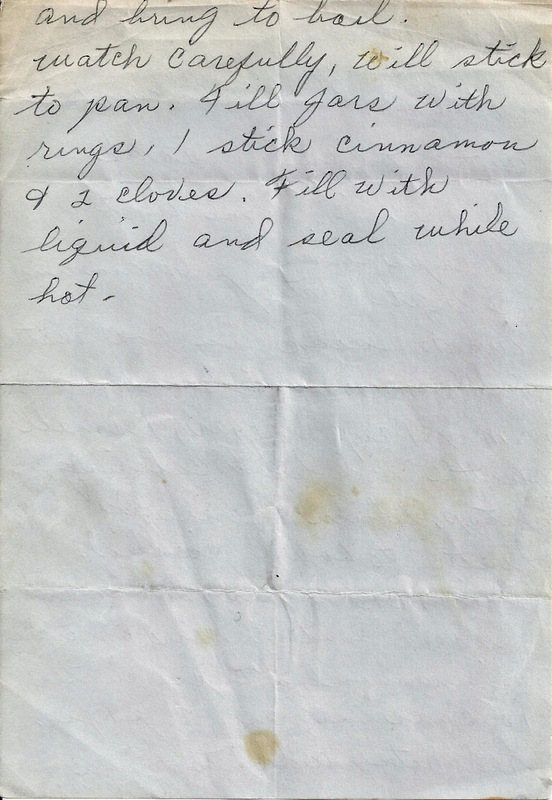 As unusual as this sounds, I remember her making apple cinnamon rings which were delicious. Some friends of ours from church hand delivered a box to us full of garden produce. I was able to use some fresh and freeze some, but what was I supposed to do with all of those cucumbers? 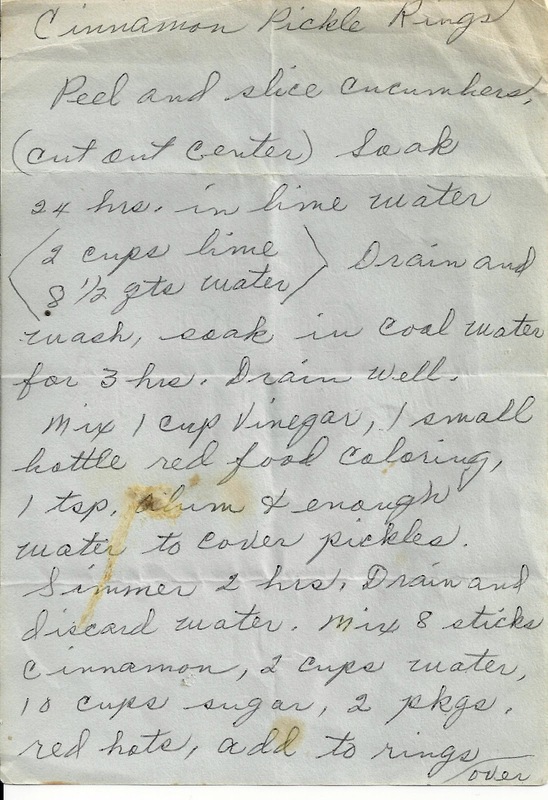 Then I remembered my grandmother’s recipe. So, I went for it. It did not come out as good as my grandmother’s would have. You can bet your sweet life on that, but I couldn’t help but hear her call my name as I stirred the pot. Memories were what I was recalling. Roots were what I was growing. 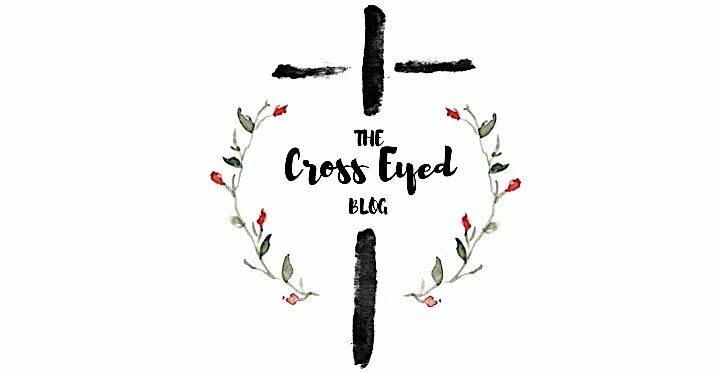 Connected was what I was feeling. Creative juices were what was flowing. I know there are people who could care less about making homemade soap or jellies or jams, and there is absolutely nothing wrong with that at all. But I tell you what, there is something about it that makes my heart happy, very happy indeed!